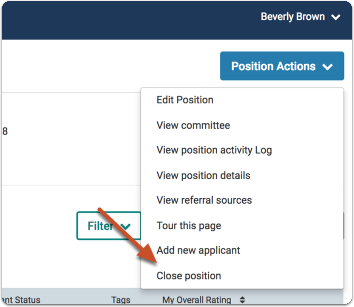 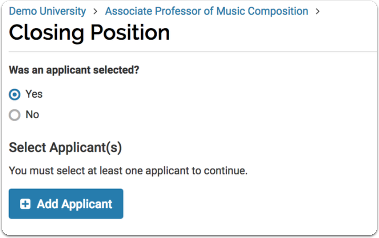 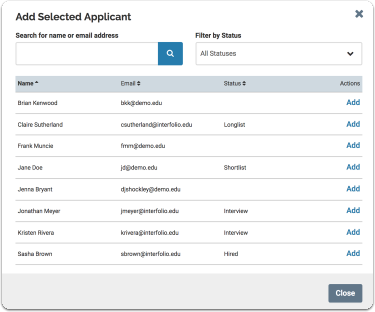 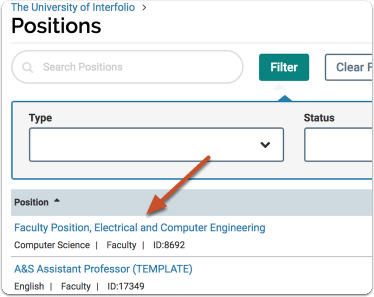 At the end of a search, committee managers and administrators can close a position and indicate whether or not they have selected one or more applicants to fill the position. 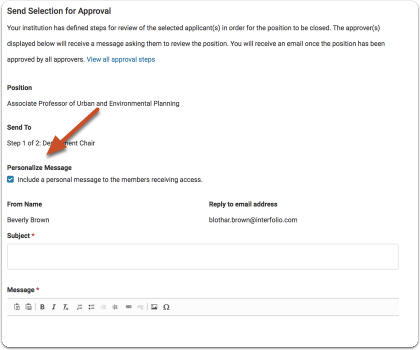 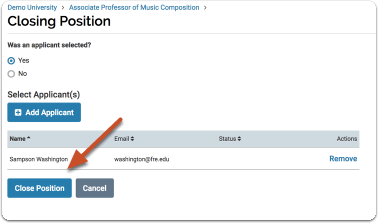 If your institution has established a workflow for approving selections, you will need to submit your selections for approval. 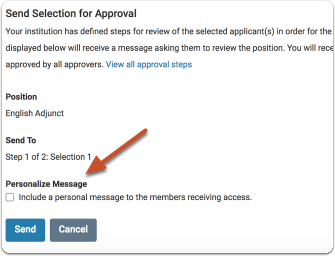 The steps below describe the process of closing a position and submitting selected applicants for approval.